Ok, so I suppose it’s finally time to lay our nuts on the table and come up with a grade for Century Crack. 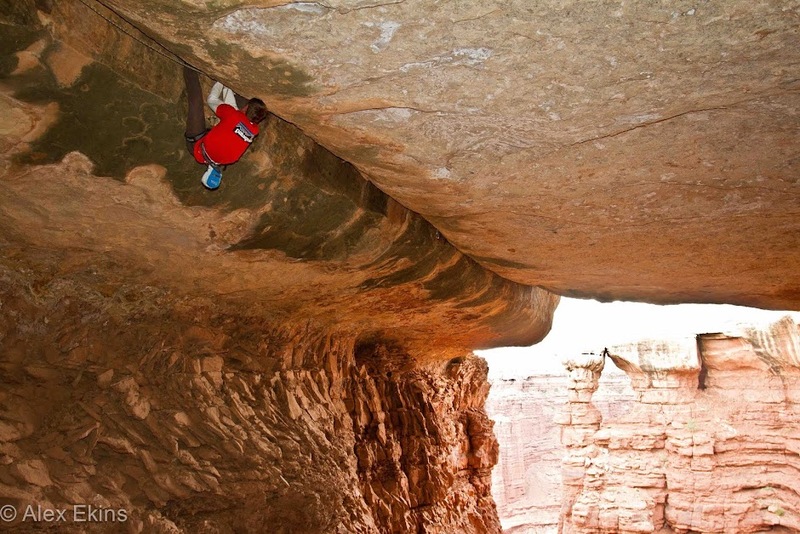 There have been stories of superlative climbing events over the years that have been surrounded by grading controversies, climbing style arguments and conflicting personalities battling it out for the first ascent. I’m not sure that Century is any different from this; Stevie’s had his say, certain keyboard heroes have mass debated and the 9a grade has been thrown around. All the while, Pete and I have generally been getting on with enjoying our climbing trip around the US. We’ve repeated 8 x 5.13a or harder offwidths (some flash/onsight) – including repeats of the hardest offwidths in Vedauwoo, Zion and Indian Creek. This has all been in with loads of other routes in the 5.12a-5.12d range and mostly on a 2:1 climbing to rest day ratio. Overall, we finally feel like we’re starting to know where everything lies relative to everything else and feel fairly confident that we are performing to our own expectations. It’s been knackering, but very much worth it! Right.............. I’ll rant no more on that subject. Grades – let’s talk grades! For Century Crack, we are proposing 5.14b or French grade 8c. Below, I’ve put together some of our main trains of thought/rants on the grade matter. Most of it will be pretty boring to people out there, but it’s certainly of interest to some. As many people know, Pete and I spent 2 years slogging our guts out in a crack cellar underneath my house. We trained so specifically for Century Crack – we had an almost exact replica of the whole route and we trained....and trained.... and trained.... We did over 17,000ft of Century Crack climbing in 2 years, which equates to having already climbed it 42 times each! It’s this point I really want to hammer home – I know it sounds like a short time to do a major project in 2 days, but in effect, we’d already had countless sessions on it back at home. All of this training was carefully periodised to bring about peak performance for our American trip and to avoid chronic overuse injuries. The two hardest offwidths that we’ve come across in the States so far have been “Gabriel” in Zion and “Price of Evil” in Indian Creek. Gabriel we found to be like a soft 5.13c and Price of Evil a hard 5.13b. Both of these routes were a country mile in difficulty away from Century and if we had these routes back in the UK, we’d happily run laps on them. This is not just to boast, but more to illustrate that once we knew the sequence for a 5.13, then we weren’t taxed to our limit by them. In contrast, Century totally wiped us out in just 1 go and we wouldn’t dream of attempting the route twice in a day. Although it’s not really a fair comparison, I thought it was useful when debating the grade with Pete on this route to compare it to another hard crack, Greenspit (8b or 5.13d), that we’d done a couple of years back. If you take Century vs. Greenspit then the former completely trounces the latter. They’re miles apart in difficulty and as Pete pointed out to me this evening he climbed Greenspit with almost no specific training – just a few pull-ups and some core conditioning! Also Stevie Haston flashed Greenspit, yet after a number of sessions could only work Century with 3 hanging rests. So................. apologies for the rant – I had to get it down on paper. I still don’t exactly know what I think, but above is detailed at least some of mine and Pete’s most common thoughts. 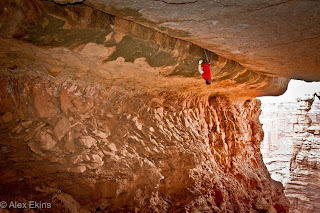 I think any grade for the route, whether its 6c or 8c gives little sense into what it is like to climb the thing. To get a feel of what it’s really all about you need to go down there and actually stand under it and give it ago. This is the only way to feel the real monstrosity of the beast. So get down there, it would be good to get a concensus on this thing!! Stay Strong guys. Glad Indian Creek has something for the Wide Boyz too. Ridiculous! You guys have had to have acquired the finest resume of hard wide cracks to date, and this is obviously the capstone of them all. The only one I can think of off-hand that I see missing from your list is Wanda's Pink Tacos in Hueco. Just one for your casual enjoyment at some later date. Anyway, regardless of where the grade settles out on Century Crack, it is one spectacular line and in my opinion THE OW route to aspire to in the U.S. Very inspiring! I love the story with all the training too. Hats off to you guys. Awesome pictures and excellent commentary to go with them! 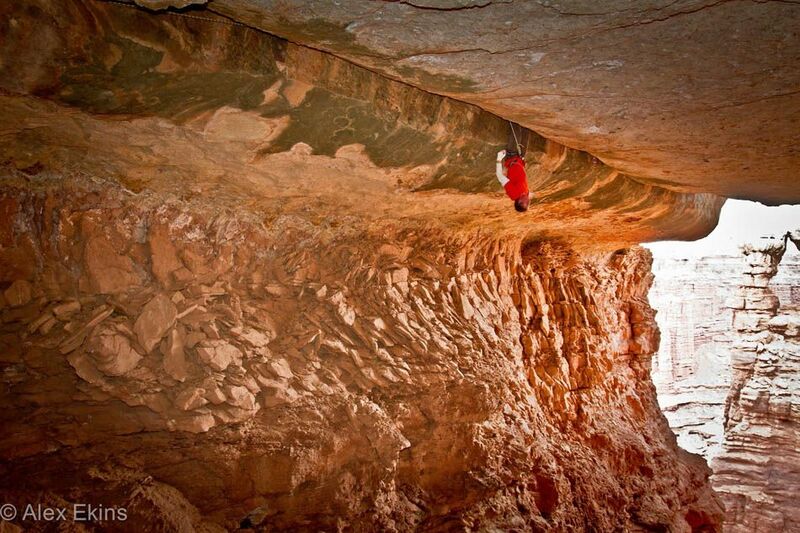 Really inspiring climbing! Makes me want to go and find a crack that will actually you both, but I think I may struggle..
Haven't read in attention this post, but looks very good to me. Well done and congrats for the expirience. foot forward by offering great design and quality content.